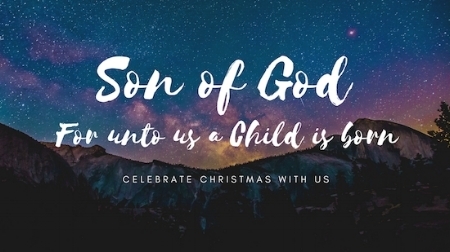 Christmas Eve Choir Concert, "Son of God Mass"
Please join us and the St. Barnabas church choir in celebrating Christmas Eve with the Son of God Mass, performed on the evening of Sunday, December 24th at 6:45 pm. Composed by British composer James Whitbourn, Son of God is a relatively new work (2001) for choir, soprano saxophone, and organ. It’s a gem — a masterpiece work that compels you to listen to the music of the mass in a new way; to appreciate the saxophone sound as an integral part of the work’s structure and expressive frame. In Whitbourn’s creative hands it is a most compelling, wordless soloist, sometimes pleading, prayerful, contemplative, mysterious, moody, sometimes soaring, and exuberant. Each movement is exceptionally well conceived to suit the mood and meaning of the texts, and the final Amen is a marvelous, climactic utterance. The composer has studied plainchant extensively, and that influence (and expertise) can be discerned in the the melodic movement of the lines and even in the modal feel of the harmonies. He manages to balance exquisitely the modern and the ancient in this piece. This music gives singers something to anticipate and savor, as well as gives listeners much to celebrate! Preceding this concert is an all-ages, family-friendly Christmas Eve Service at 5:00 pm. A traditional Christmas Eve service follows the choir performance, starting at 7:30 pm. You can RSVP and share this event through our Facebook page - Thank you for your support!